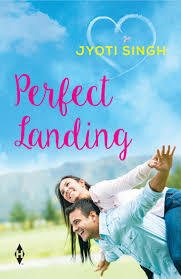 Jyoti Singh’s Perfect Landing releases today, May7th,2016. In Perfect Landing , the diminutive Captain Sara Jena’s flight path collides with the suave scion of the Khanna Conglomerate, Samrat Khanna and she finds herself tailspinning into unchartered territory. The urbane Samrat or ‘Sam’, has always had women swooning over him. Sara’s brusque demeanour not only hurts his ego, it also takes him on a ride like none other he has ever undertaken. Sara’s passion for flying and Sam’s love for fast cars takes them spiralling into turbulence.Can Sam and Sara unite to survive a crisis of faith? Will they be able to make the perfect landing in their flight to love? I smiled through Niki and Sid’s “KARMIC ENTANGLEMENT” and laughed and fretted through their rollercoaster journey, in Jyoti’s first novel Temptation in Paradise. This new novel had me glued for two straight hours, swooning over Sara and Sam. The characters are realistic and from the very first page, I was waltzing with them through their romance. I was sure that there would be a “PERFECT LANDING” in the end, but the flight definitely had my heart fluttering. Jyoti Singh’s first novel Temptation in Paradise was reviewed by The Good Book Corner in December 2014 and since then, I had been eagerly awaiting Jyoti’s next. Jyoti writes for “New” India, where the female protagonist is smart, independent and sure of herself(except in the matters of her heart!!) .Her heroes have intellect, looks and charm, and the stories and characters are realistic. 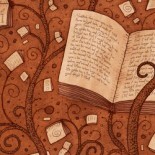 Jyoti’s beautiful writing gives a warm and mushy feel to the reading experience. After a heavy dose of non-fiction or a deeply moving fictional narrative, this new novel Perfect Landing is sure to take your heart and spirit soaring. This entry was posted on May 6, 2016 by artikabakshi in Book Reviews, Fiction, Romance and tagged Harlequin India, Jyoti Singh, Perfect Landing, Temptation in Paradise.